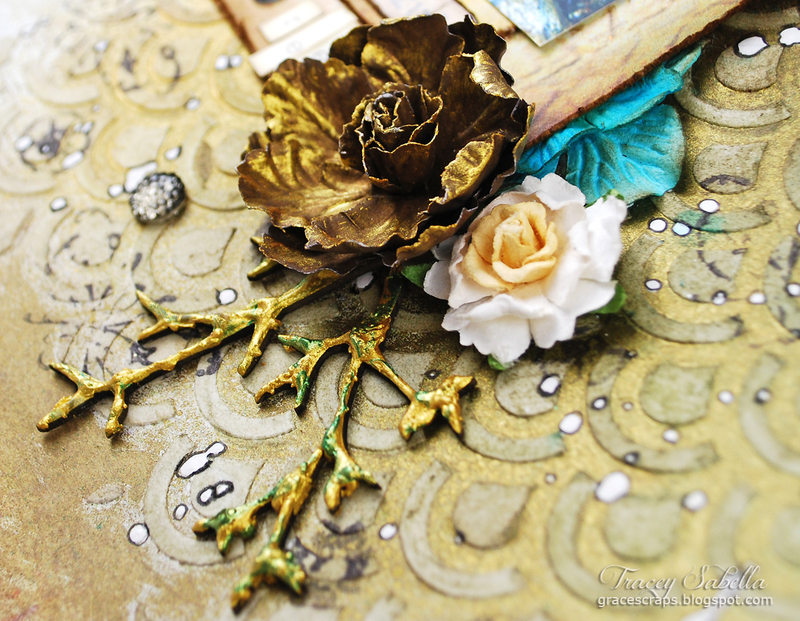 It's Tracey back to share a layout I recently created featuring gorgeous Leaky Shed Chipboard. Vacation trips are always fun to remember. In 2012 Gary and I took a trip for our 30th anniversary to Baltimore Inner Harbor. We spent a day at the National Aquarium where I took this shot of the coral reef exhibit. The coral and fish are so colorful and vibrant. I enjoyed extending the feel of the reef onto the layout. I like to get creative and transformed the Leaky Shed 9 inch Christmas tree into coral. 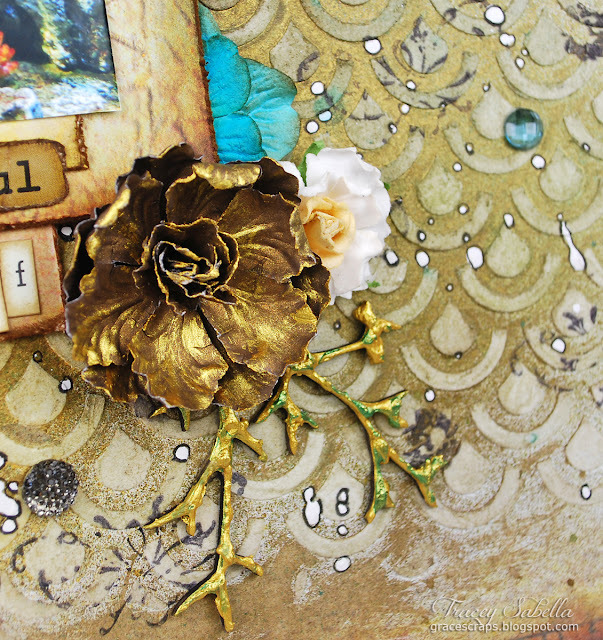 Often, I look at my chipboard pieces "outside the box." Here the coral pieces are cut from the branches of the Leaky Shed Studio chipboard Christmas tree, painted with Lumiere gold and green metallic paint. I painted and then bubbled the paint with a heat tool in several layers to build up the paint to achieve a coral-like appearance. I adhered these pieces with Helmar 450 Quick Dry Adhesive. 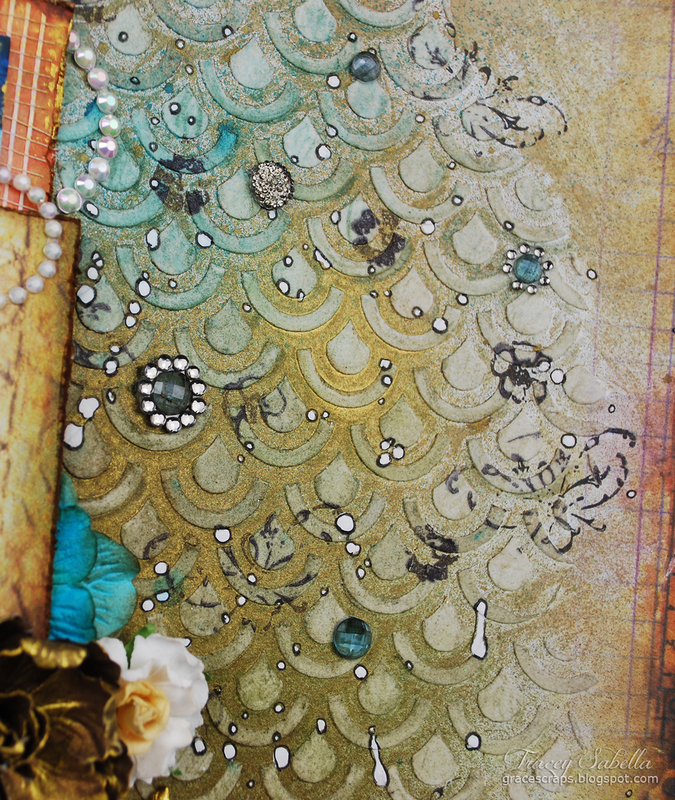 A close-up of the background which was stenciled with molding paste using the Prima Scales stencil then misted, stamped, splattered with thinned gesso, and doodled. I've also scattered some crystals around the page. Another flower cluster featuring more of the Leaky Shed chipboard "coral." 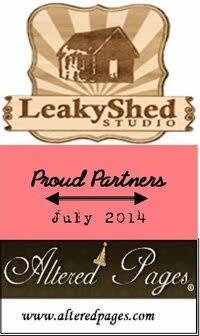 I hope you've been inspired to get creative with some Leaky Shed Studio Chippies! 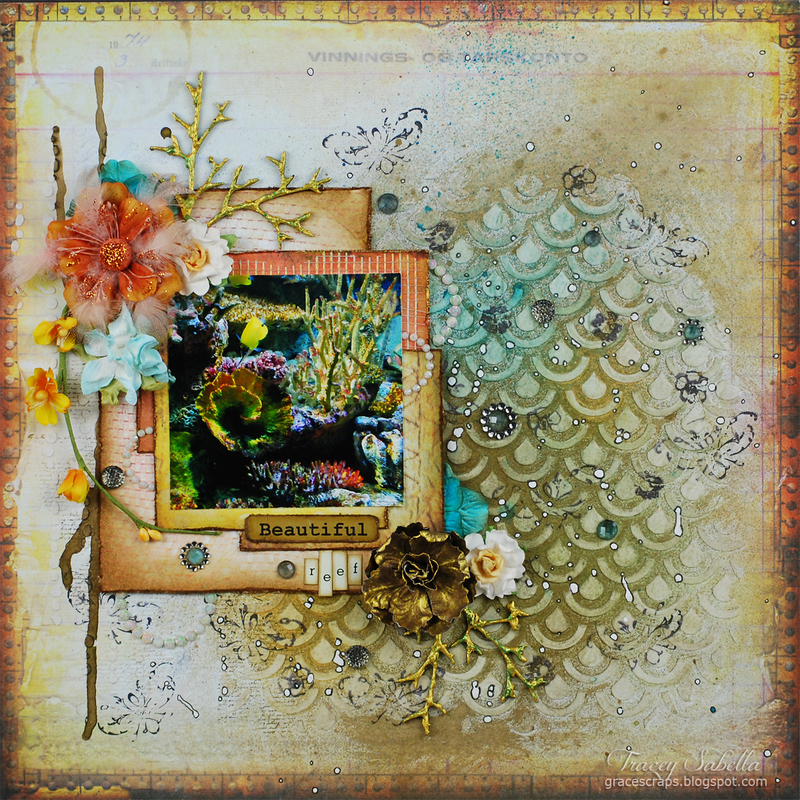 Be sure to stop back to tomorrow to be inspired by a magical layout by Juliana Michaels! This is gorgeous! 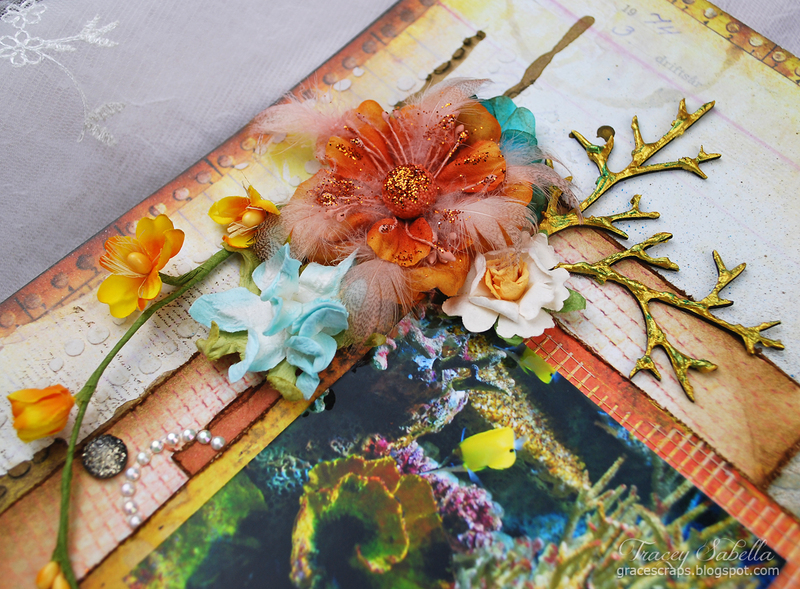 LOVING that background you created and loveeeeeeee the idea of making branches into coral!!! Tracey this is so beautiful and creative!